All VBX phones require a valid broadband Internet connection to make and receive calls. AVT Global does not provide an Internet connection. You need to contact your Internet Service Provider (ISP) for information regarding your Internet connection. Each call on a VBX phone requires approximately 100kbps of Internet bandwidth (both upload and download). For example, if you have a typical T1 connection (1.5 Mbs, or 1500kpbs), you can make up to 15 concurrent calls at any given time. However, in many cases both your computers and VBX phones share bandwidth, effectively reducing the amount of concurrent calls possible on your network. 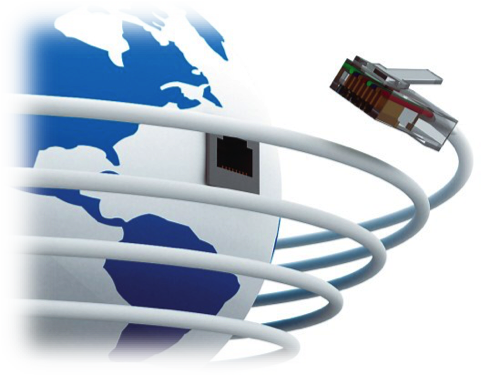 Please contact your Internet Service Provider to ensure your bandwidth meets the minimum requirements for your needs. 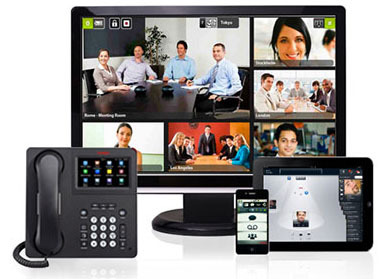 Our VBX hosted VoIP solution requires an enterprise-grade network to function properly. All VBX handsets are actually network devices which connect to VBX via a broadband Internet connection (we can recommend, configure, and sell network hardware as needed). Many VBX customers choose to purchase QoS-enabled network hardware from VoiceStep Telecom instead of from a third-party provider. While not strictly required, purchasing those from VoiceStep Telecom helps to ensure call quality and provides a single point of contact for all telecommunications services. For more information on this, please contact your account executive. The hosted VoIP handsets require a properly configured Firewall to function. Firewalls should allow the handsets to access various protocols on arbitrary ports and addresses. Firewalls must, at a minimum, support NAT keep-alive request for VBX to function properly. Often, Firewall functionality is built-in to the network router. The routers and switches on your network must be business class and must provide common networking protocols such as DHCP, NAT, DNS, and QoS. If existing network equipment is not sufficient, we can recommend, configure, and sell router and switch hardware as needed. Power over Ethernet (PoE) is highly recommended. In some scenarios, VoiceStep provides VoIP Gateways to deliver enhanced features and emergency survivability. AVT Global recommends the use of Virtual LANs (VLANS) to simplify the deployment of VBX phones on a Local Area Network (LAN). Each concurrent call on VBX Hosted VoIP utilizes approximately 82.5 kbps of Internet bandwidth (both upload and download). 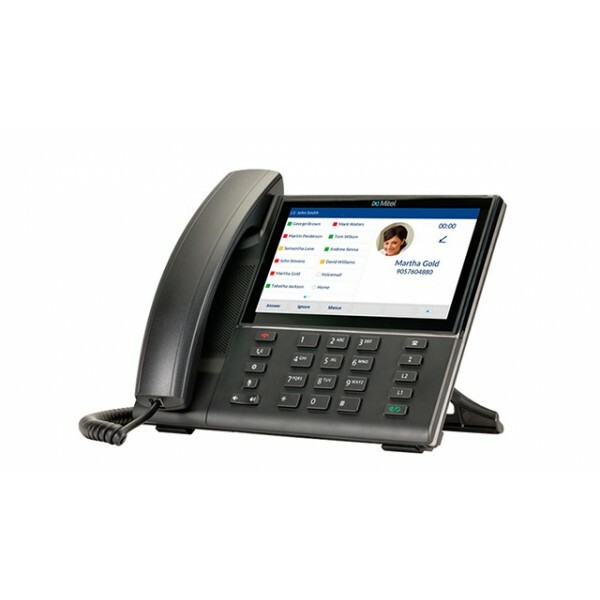 VBX phones are network devices which require a business-class router with a broadband Internet connection. Each phone must be issued an IP address from the router (not modem) via DHCP. Only enterprise-grade routers and switches should be utilized when deploying VBX phones. Power-over-Ethernet (PoE) switches are highly recommended, as they eliminate the need for individual power adapters for each endpoint and also allow for centralized power redundancy. It is recommended that devices receive an internal IP address assignment via Dynamic Host Configuration Protocol (DHCP). Devices can be given static IPs, however this is more labor intensive. TPhones initiate a SIP session with VBX. NAT keep-alives need to be permitted to keep these sessions continuously open. Keep-alives are sent on a 30 second interval. DNS is used to resolve the URL for handset configuration files and a time server. Some user agent devices also use DNS to perform SRV lookups. Be sure that the phones are using a reliable DNS server as a DNS failure can delay or prevent call setup. If a VoIP Gateway is deployed, best practice is to have this device provide both DHCP and DNS for the VoIP handsets. We strongly recommend using Google's DNS, 8.8.8.8 and 8.8.4.4. In most cases, you will not need a static IP address from your internet service provider (ISP); however, there are situations where this is preferable. Some VBX devices, such as Gateways may require public IPs to function properly. Public IPs are not required (nor recommended) for the VoIP handsets. * Network segmentation: The network typically runs more efficiently, and some LAN issues will stay localized to VLANs. * QoS: Can have a unique configuration for a specific VLAN. * Policy-Based Routing: Unique policy-based routes can be configured differently on specific VLANs. * Gateway Routing: VLANs can be used to route VoIP traffic through the VBX Voice Gateway. If both CDP and LLDP-MED are enabled, the network policy for the VLAN is determined by the last policy set or changed with either one of the discovery modes. If both LLDP-MED and CDP are enabled, during startup, the phone sends both CDP and LLDP-MED PDUs at the same time. Inconsistent configuration and behavior for network connectivity devices for CDP and LLDP-MED modes could result in an oscillating rebooting behavior for the phone due to switching to different VLANs.If the VLAN is not set via CDP and LLDP-MED, the VLAN ID that is configured manually is used. If the VLAN ID is not configured manually, no VLAN will be supported. LLDP overrides CDP. CDP overrides Local FLASH which overrides DHCP VLAN Discovery. Quality of Service (QoS) refers to the capability of prioritizing certain types of traffic throughout the entire network. In the context of VBX, this term refers to the dynamic prioritization of Voice and Video over other traffic types. Particularly in scenarios where bandwidth is limited, properly configured QoS is crucial if maximum call quality is to be obtained. Properly implemented, QoS can reduce congestion, latency, and packet loss - all of which negatively impact call quality. The QoS strategies discussed below pertain traffic inside the client LAN, and on the hand-off from the LAN to the WAN). Any QoS on the WAN connection itself must be delivered by the ISP. Properly configured, Quality of Service (QoS) policies will ensure that VoIP traffic is prioritized over other network traffic. This helps ensure call quality, especially in situations where the LAN or WAN is saturated ("maxed out"). * Saturate the LAN connection by transferring large files between computers on the LAN. Then make several concurrent phone calls. * Saturate the upstream portion of the WAN connection by uploading several large files. Then make several concurrent phone calls. ABC, Inc. has a 1.5Mbps T1 connection from their ISP. At various times throughout the day, ABC's regular internet usage is enough to completely 'max-out' (saturate) this connection. ABC is considering installing a VoIP solution - they want to make sure that VoIP call quality is maintained, even during periods of peak internet usage. Implementing QoS on the LAN helps solve this problem - properly configured, QoS will ensure that the VoIP traffic is prioritized within the LAN so that the phones are dynamically allocated as much bandwidth as needed. QoS also ensures that this prioritization extends to the 'hand-off' between the LAN and WAN connection, so that ACME does not saturate ('max out') their upstream (egress) bandwidth. QoS on the downstream (ingress) portion of the internet connection is handled by their ISP. ABC, Inc. will obtain their T1 from a provider that can dynamically prioritize VoIP and Video traffic over all other traffic types across the actual internet connection itself. With QoS enabled on both the upstream (egress) and downstream (ingress) components of the internet connection, ABC, Inc. can be confident of having optimal call quality, even during periods of heavy network usage.